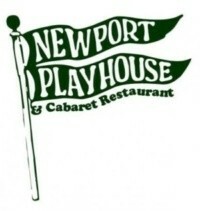 We always enjoy our time at the Newport Playhouse & Cabaret where the buffet is plentiful, the performance is always hilariously entertaining and the cabaret is the cherry on top of the day! Join us this April and see for your self why it is a favorite destination among our Foxy Travelers! “Exit Laughing” When the biggest highlight in your life for the past 30 years has been your weekly bridge night our with the “girls”, what do you do when one of your foursome inconveniently dies? If you’re Connie, Leona and Millie, three southern ladies from Birmingham, you do the most daring thing you’ve ever done. You “borrow” the ashes from the funeral home for one last card game and the wildest, most exciting night of your lives involves a police raid, a stripper and a whole new way of looking at all the fun you can have when you’re truly living. Final Payment Due 3/7/18 Please familiarize yourself with our 2018 booking and cancellation policy!